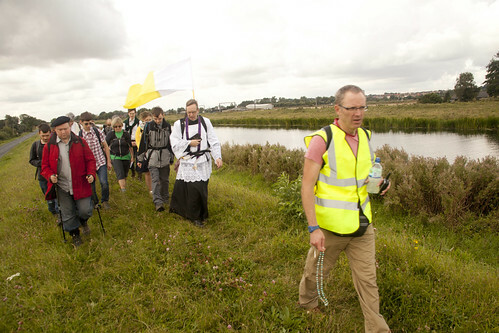 From Friday to last Sunday 60 pilgrims walked the 55 miles or so from Ely to Walsingham, assisted by about 20 volunteers. 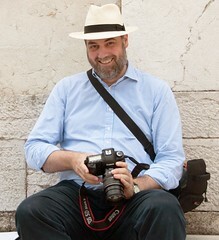 It is impossible to convey the experience of this kind of pilgrimage, but I have at least a few photographs of it. In this post I'm looking at the first half of it. We gather on the Thursday evening for a meal together, before the very early start on Friday morning: Mass is at 6:15am, in the Catholic parish church of St Ethelreda's. 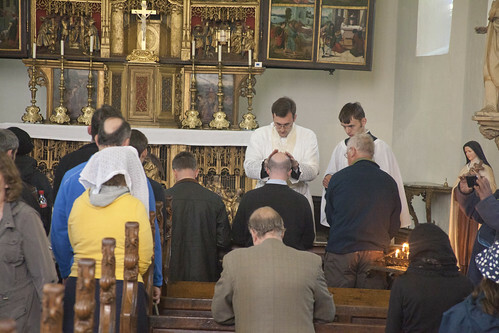 It is nevertheless a High Mass, with deacon and subdeacon, and a schola led by Matthew Schellhorn, composed of walking pilgrims. Mass was celebrated by our Chaplain, Fr John Cahill, assisted by the newly ordained Canon Altiere ICKSP (deacon) and Alex Stewart, a seminarian of the FSSP. After breakfast, Fr Cahill gave us the traditional Blessing of Scrips and Staves, and of the pilgrims themselves, in the church. 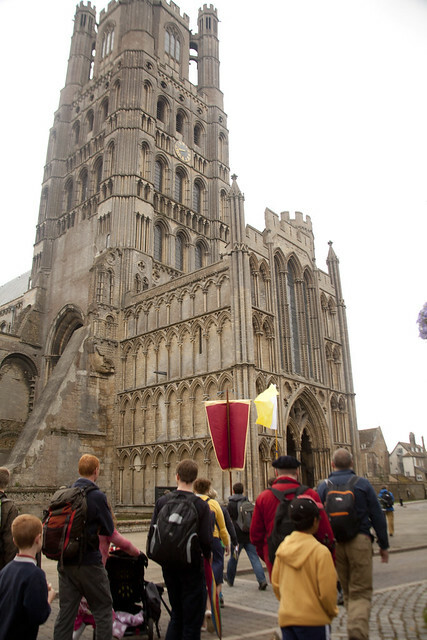 We then went to Ely Cathedral. We prayed for the healing of schism, and looked around the places where the medieval pilgrims would have gathered, before setting off into the countryside. 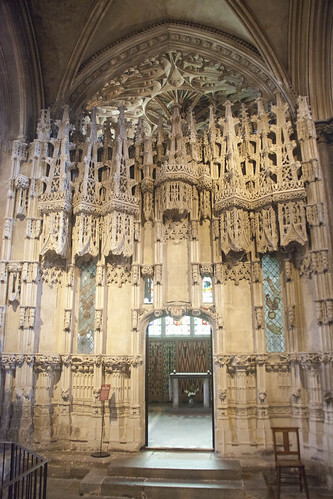 There's no hiding the Catholic past of the ancient cathedrals of England. Above is a superb gothic chantry chapel. No Masses for the dead have been said there for some time, alas. Much of the first day we walk along a path next to the Great Ouse. 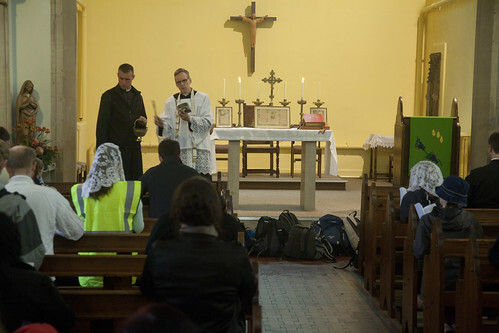 We prayed the Rosary, we sang, we heard meditations from our priests, and we walked more than 20 miles. On the second day, we walked for a hour or so before breakfast in order to get to Oxburgh Hall, where the Bedingfeld family very kindly let us use their historic private chapel. 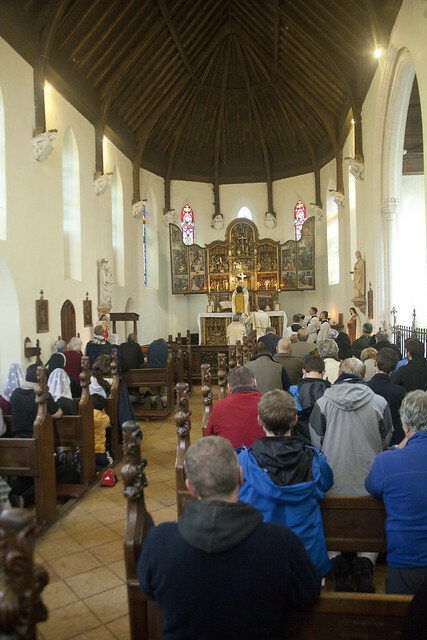 Having served local Catholics for centuries after the Protestant Revolt in secret chapels in the house, they eventually were able to build a neat little church in the grounds, with a wonderful medieval German reredos. Canon Altiere was the celebrant. 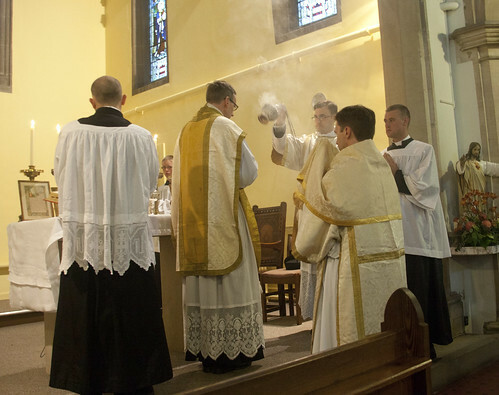 After Mass Canon Altiere gave us all his 'first blessings' as a newly ordained priest.